Specialty designs for Holloween, Thanksgiving, Christmas, Valentines Day & Easter. Much of the Holiday Decor can be purchased as a wall hanging or as a garden stake. 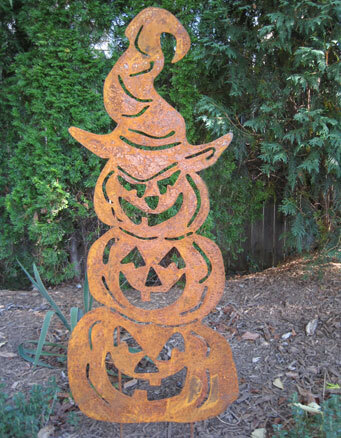 A-19 This custom designed 3 jack-o-lantern stacked on top of each other is a fun accent to any yard. A-23L This custom designed Happy Pumpkin Garden Stake will put a smile on anyone's face. 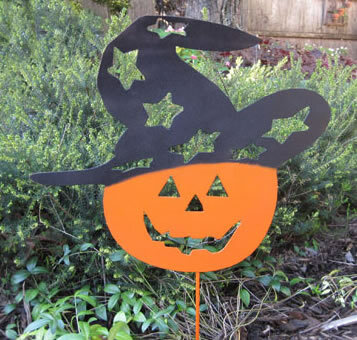 A-21 This custom designed hand painted Magic Jack-O-Lantern Garden Stake is a great accent to any yard. 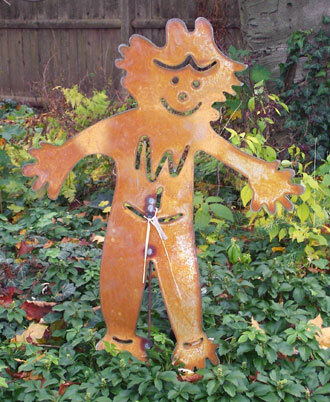 RMS This custom designed Rustic Metal Scarecrow is a fun accent to any yard. 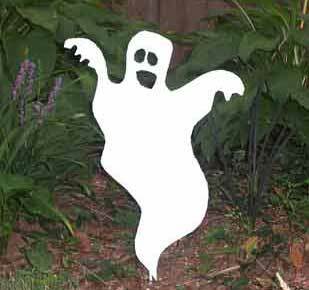 A-4S This custom designed spooky ornamental ghost is a great accent to any yard, wall or door. 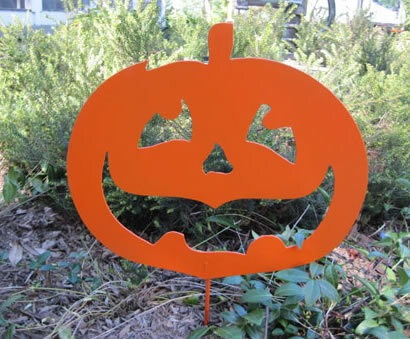 A-23S This custom designed Happy Pumpkin Garden Stake will put a smile on anyone's face.